Islam and Global Studies series provides a platform for the progression of knowledge through academic exchanges based on multidisciplinary socio-political theory that studies the human condition and human interaction from a global perspective. It publishes monographs and edited volumes that are multidisciplinary and theoretically grounded and that address, in particular, non-state actors, Islamic polity, social and international justice, democracy, geopolitics and global diplomacy. The focus is on the human condition and human interaction at large. 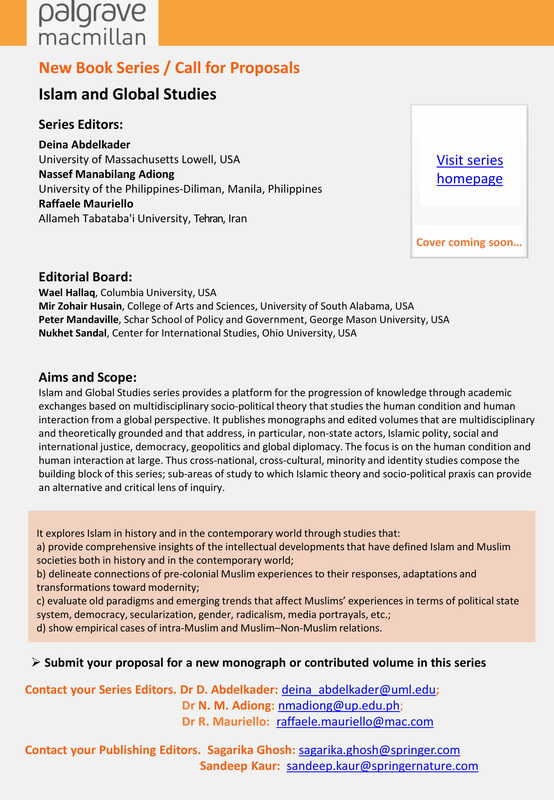 Thus cross-national, cross-cultural, minority and identity studies compose the building block of this series; sub-areas of study to which Islamic theory and socio-political praxis can provide an alternative and critical lens of inquiry. d) show empirical cases of intra-Muslim and Muslim–Non-Muslim relations.